Hydration-without irritation. Vanicream Moisturizing Skin Care Cream contains no dyes, lanolin, fragrance, parabens, formaldehyde, or other common chemical irritants. 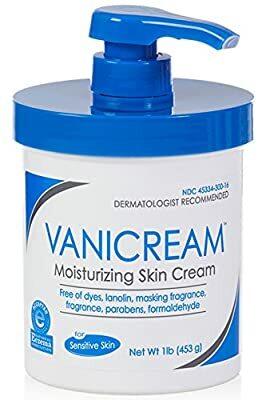 This long-lasting Vanicream Skin Cream is perfect for people with sensitive skin, as a night cream or after sun exposure for hands, face, feet, and body. Skin moisturizers are a great way to sooth sun damaged skin.